All Online Casino Slots work pretty much the same. You place your bet, click Spin to activate the reels and then hope a winning combination of symbols shows when the reels come to a stop. Easy enough, so far, but there is more a player should know. This slots guide can help. On straight (or regular) slots the jackpot is part of the fixed pay schedule and never changes. As a result the jackpot amount is clearly posted on the machine. You generally get more more realistic odds on the old familiar three reel machines. The trade-off here being that you’re playing for a much smaller top prize. The juiciest prizes are dangled (tantalizingly) on progressive slots. 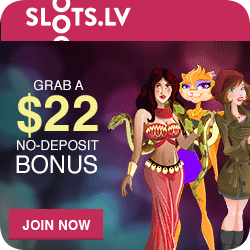 Online casinos also offer newer multi-line video slots. These have bonus game features that may include free spin rounds, bonus prize games, multipliers and more. As the word progressive implies, the big jackpot on these slot machines grows larger with every coin inserted. Linked progressives are slots games that have been connected to each other in order that all contribute to the same jackpot. Of course, that is how those humongous amounts accumulate. The hooked up machines are spread throughout many casinos. This means that the exact same jackpot can be won in a number of online casinos. The link between these casinos will be their use of the same software. Some of the better known progressive online casino slots are Major Millions, Mega Moolah, Aztec’s Millions and $hopping $pree. It’s everybody’s dream to win that more-than-a-million jackpot at least once in a lifetime. 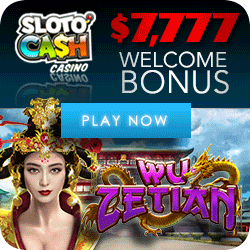 Slotland – All the slots share one huge Jackpot! As a rule, playing a two-coin, three-reel machine is your best bet however the jackpot will be relatively modest, with a resulting lower risk as well. It’s the four or five reel machines that offer bigger jackpots, but those games are offer fewer winning chances. I have had reasonably good luck playing multi-line video slots. 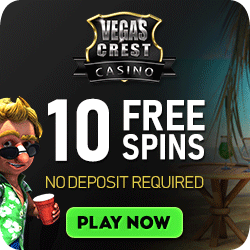 The free spin rounds usually double or triple winning amounts which as a result can put you nicely ahead, even though it’s not the same as hitting the jackpot. Most one-armed-bandit type casino slots accept up to 5 coins per spin however, before deciding how many coins to play, consider the following. If on a 3 coin machine, the first coin returns a jackpot of 400 coins, the second 800 coins, and the third 1,200 coins, there isn’t much advantage in playing multiple coins. Would you be happy with a win of only 400 coins when you win a rare jackpot? If however the jackpot pays a much higher multiplier on maximum coin bets, always bet the max. For example, supposing instead of 1200 coins in the above example, the jackpot payout was 2000 coins, it would be foolish not to insert the maximum. 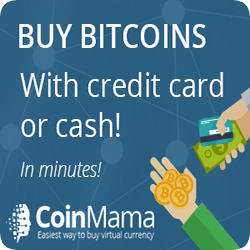 Our advice is thus to definitely wager maximum coins if a bonus is offered. The most difficult decision is which or what kind of slot game to play. A lot depends on your risk tolerance, your pocketbook and your temperament. Have no fear, there are online casino slots suitable for everyone, low rollers, mid-range rollers and high rollers. 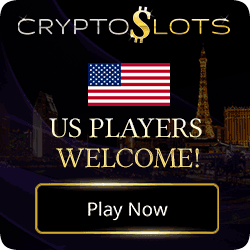 These days, at almost all cyber casinos you can opt to “play for fun”, meaning you can try the games without investing money. Of course, playing for free means you can’t collect wins, but while testing different online casino slots you will get a feeling whether or not you think you can win on a certain machine and whether the play is enjoyable. You can sometimes however try the games with the casinos own money and even accept a cashout. 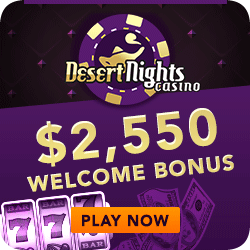 To find out more about this option visit our other website where we discuss no deposit bonuses and free casino money.